Founder & Executive Director - Creative Tension, Inc.
Reverend Elliott Robinson JD, MDiv is the founder of Creative Tension, a non-profit dedicated to inspiring and empowering a generation to discover, embrace and utilize ‘creative tension’ in their pursuit of justice for all people. Launched in 2017, Creative Tension blends multimedia, trainings, lectures and curricula to examine historic movements that used ‘creative tension’ to combat systems of violence and oppression. He currently leads bi-weekly discussions focused on “The Jim Crow Years” on the Creative Tension podcast, weaving together voices from the past and modern-day experts on race and culture. Robinson developed the non-profit as an homage to Rev. Dr. Martin Luther King Jr’s call for ‘creative tension’ in his “Letter From a Birmingham Jail.” Creative Tension, Inc. also reflects his passion for exploring justice, resistance, human and civil rights in America. Guided by the Scripture Matthew 22:37-40 and principle, “Love God, Love People,” Robinson fulfills this purpose as a public theologian, leadership advisor and preacher committed to change. 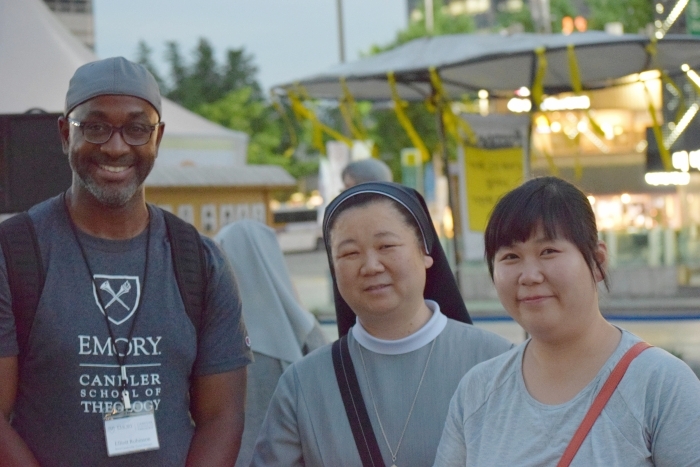 A lifelong learner, in 2015 Robinson traveled to Seoul, South Korea to study moral leadership with renowned theologian and Emory’s Laney Professor in Moral Leadership, Dr. Robert Franklin. He is currently a Teaching Assistant at the Candler School of Theology. He’s currently engaged with the Introduction to Preaching course taught by Dr. Teresa Fry Brown, the Bandy Professor of Preaching. When Robinson is not sharing stories that connect the dots of history to the present, it’s likely he’s hosting an episode of The Wellness Blueprint podcast. Robinson, alongside co-host Dr. Maiysha Clairborne, shares tips and information to help listeners live their best lives mentally, spiritually and physically. He is an ordained Itinerant Elder in the African Methodist Episcopal Church (AME Church) and serves at Saint Philip AME Church (Atlanta) under the leadership of Senior Pastor, Rev. William D. Watley, PhD. Robinson also serves as a Research Assistant for the Department of Research and Scholarship of the AME Church, under the guidance of AME Historiographer and General Officer Dr. Teresa Fry Brown. 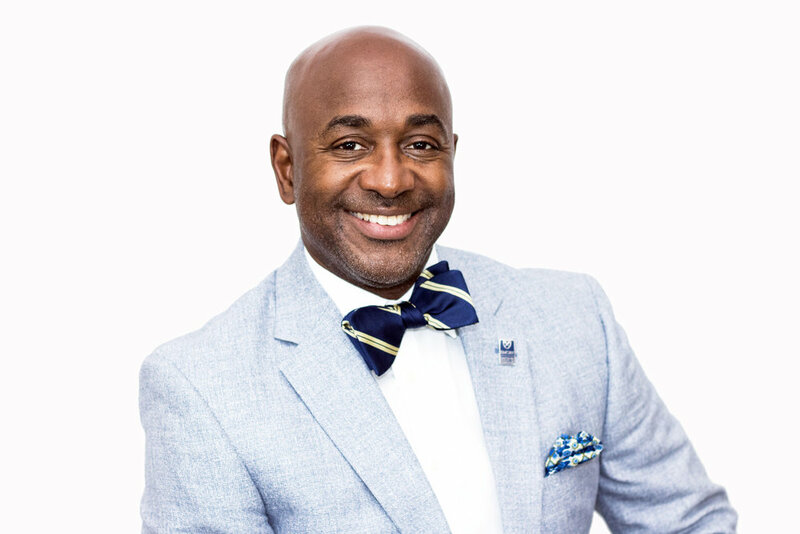 Growing up in Brooklyn, NY, Robinson earned a Bachelor of Science in Business Administration from the State University of New York at New Paltz and went on to receive his Juris Doctor from Howard University School of Law. He obtained a Master of Divinity from Emory University’s Candler School of Theology, where he graduated with honors as both a Sims Garrett and Larry Ted May Scholar. He currently resides in Atlanta, GA with his wife and children.